The Clear Lake Texas area is a bad location for an air conditioning emergency. Do not wait to get it taken care of. Call Bay Area AC, Heating and Plumbing LLC at (832) 623-8889. You can reach us 24 hours a day. Do you have an AC emergency? Often an air conditioning problem can be addressed during normal business hours. Yet, sometimes you have an actual AC emergency. Family member or pet suffering can be unacceptable if the air conditioning cannot be restored quickly. 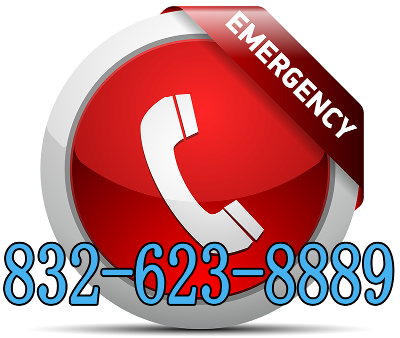 Call us to come handle your in Clear Lake cooling emergency when that happens. We will get to you quickly and make the necessary repairs. We earn our customers’ trust every time we take a job. You will know the cost before we do any work. And all our work is guaranteed. You are our neighbor, and we strive to build and keep that relationship. Things you might notice: unusual odors coming from your system, not normal sounds as the system cycles on or off, the health of family members is dependent on the system working properly, your customers are too uncomfortable to come into or stay in your business, refrigerant or compressor replacement..